The color alone will make you swoon. 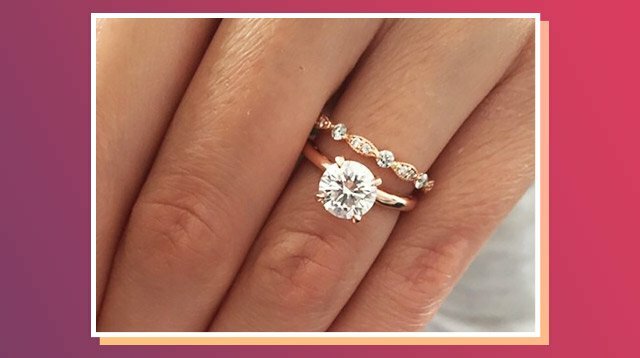 Millennial pink is slowly taking over our wardrobes, which is why we're not that surprised that the most pinned engagement ring right now is in a shade of—drumroll, please—rose gold. According to Daily Mail, the ring in question is a 1.22 karat solitaire-cut diamond set on a rose gold band. Made especially for its wearer, Sylvia Billone, it has now been pinned 103,900 times (and counting, we presume).